It’s becoming increasingly popular for people to convert a Camper Van for exploring off-road . To do this for a decent amount of time, you will have to upgrade the Camper Vans electrical system, so you can enjoy some comforts of home. Whatever your choice of vehicle either RV, Camper Van, Sprinter Van or others the end game is the same, to shed dependency on shore power. If you are in a RV park or Camp ground you can plugin into to a power outlet, but to be truly independent you'll need more power sources. Our role in RV and Camper Van conversion is supply equipment and tech support that helps the owner go off grid and to enjoy the outside as long as possible. We have supplied parts to many RV and Van conversion companies and listening and following their progress, we found what the popular products and uses are. 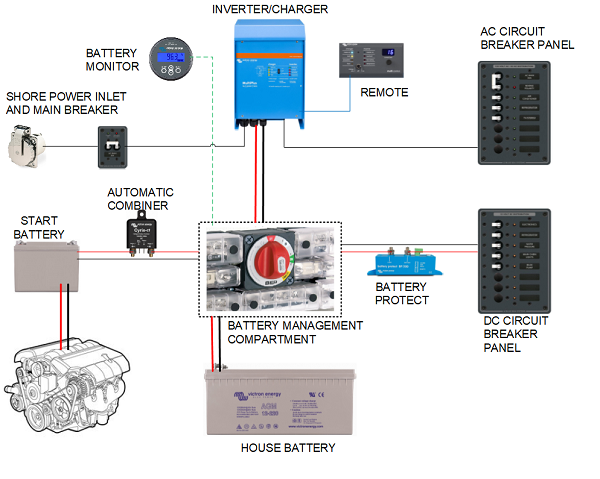 The following schematic is an example of an RV electrical system, or Camper Van electrical system using conventional batteries which includes power supply from shore power, solar power and charging via the alternator. The system includes parts from Victron Energy, Marinco, BEP and Blue Seas. Victron energy supplies one of the more comprehensive range of products in the power conversion field that work for RV’s and Vans and their networking ability is very strong. Before we start on a RV electrical system we should decide what Battery type or battery chemistry we will be using. Lithium batteries provide major benefits, but they do have specifically different needs. They mustn't be overcharged and then mustn't be allowed to run flat and require a BMS. 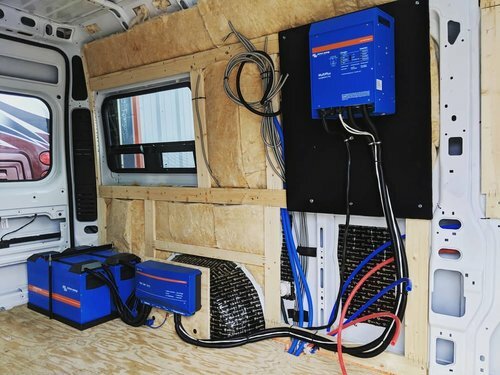 The Van or RV will already have a starting battery and you can add a separate Battery or Batteries for the house or service loads. The following blog posts will go some way to helping you understand the difference. Rather than promoting one over the other, we are providing information to help you make your choice. From these articles it becomes apparent that to compare RV Batteries we must compare the amp hours AH of the Lithium battery to twice that for AGM batteries. If we have a 180 AH lithium we need to compare it to 2 180 AH AGM’s. The reason for this is that AGM batteries need recharging when they are down around 50% depletion. See the usable energy diagram below. So you will need to charge the AGM batteries much sooner that with Lithium or have twice as many AH. If we use equal AH’s as the control, the AGM batteries will be a lot heavier and take up a lot more space as there will be two of them. Also when you consider the life cycles of Lithium v AGM you will have to replace the AGM’s. Life cycles are the number of time a battery is discharged from full and then back to full again. For Lithium this is in the range of 2000 – 4000 while AGM’s are 400-1500. Take the above two points we can see the initial cost of Lithium Van Battery is high, but you will have to buy 2 AGMS and then have to replace them later while the lithium may well outlive you. When you look into it more the initial shock wears off and you can look at the benefits. Voltage output of Lithium will be 12.5 volts or above. 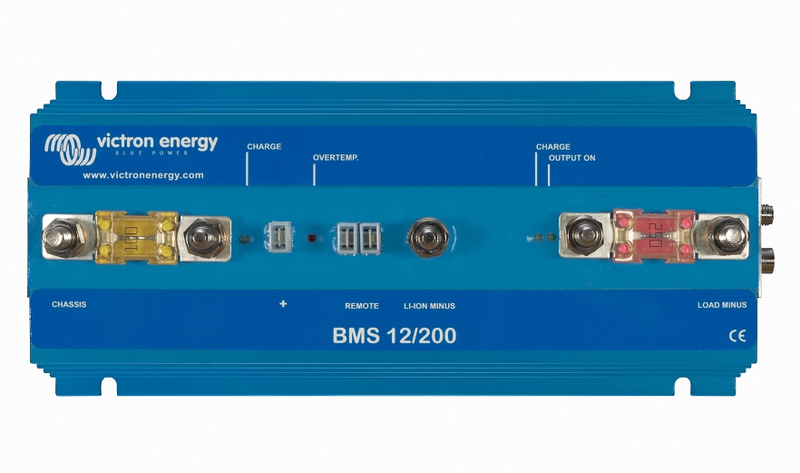 If you choose to go with Lithium you will need a BMS Battery Management System. So what does that do? Victron’s Battery Management System is external to the Battery and can be set for many configurations. Some modern LiFePO4 batteries come with a built-in Battery Management System (BMS), but these cannot be adjusted. Tourig are a Sprinter Van conversion company in Colorado, with heaps of experience. We have been working with them for many years and have this nugget from them about space utilization. Using the BEP 770 EZ installer 400A switch which allows the wiring to be done from the front, enables Tourig to fit the components in a tight space. With their shared interconnection height, EZ-Mount battery switches "cluster" directly with the Pro Installer Bus bar Range, resulting in fast compact installations. This installation shown in the following photo by Tourig on a Mercedes Sprinter van shows how they fitted most of the controls in a small accessible space. You can see how the link bars make for simple installations. Since you’re going to be a long time off grid it’s useful to know the health of your batteries. To manage this you’ll need a monitor and a simple way of viewing the data. 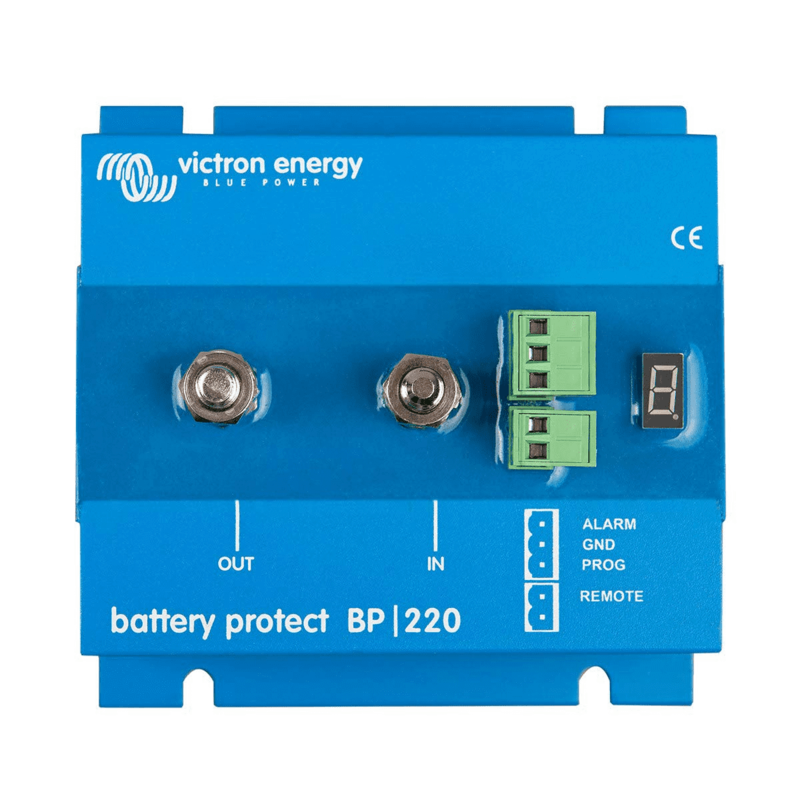 The Victron BMV range of battery monitors are probably one of the most popular items in the Victron range. The picture shows the BMV 700 Battery monitor with Dongle to provide Bluetooth. Both Conventional and Lithium batteries can be monitored by the BMV battery monitor. Using the VictronConnect app your smartphone can display all the important Battery data via the BMV with the ability to change settings. Settings such as Battery capacity, full charge voltage, alarms for low voltage etc. The smartphone display is easy to use and the easy to read. Both Conventional Battery types and Lithium Batteries can be monitored with the BMV700 series. Victron BMV 700 review in truck camper adventure written by one of our customers. 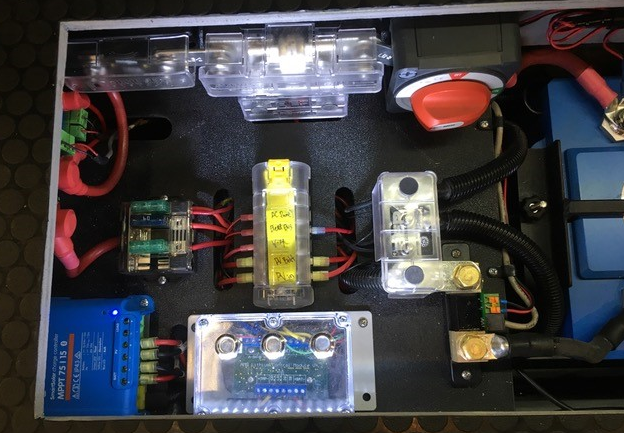 Since this article was published both the Victron Battery Monitor and the MPPT solar controllers now have Bluetooth integrated. In fact now almost all the Victron energy range of products are smart. When you are on the road, the Camper Vans alternator can charge your RV electrical system, not just the start battery but the house/service battery. With conventional batteries you can use a Battery combiner to charge the house and start batteries. If you chose a Lithium set up there are special considerations. 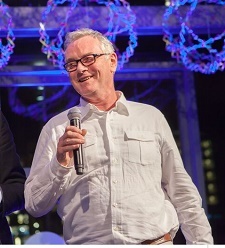 If you decide on Lithium please watch this video and call us for help in setting up charging. The Cyrix-ct is a microprocessor controlled heavy duty relay that automatically connects batteries in parallel when one of them has reached a pre-set voltage (indicating that the battery is being charged), and disconnects when the voltage decreases below float level (indicating that one or more batteries are being discharged). 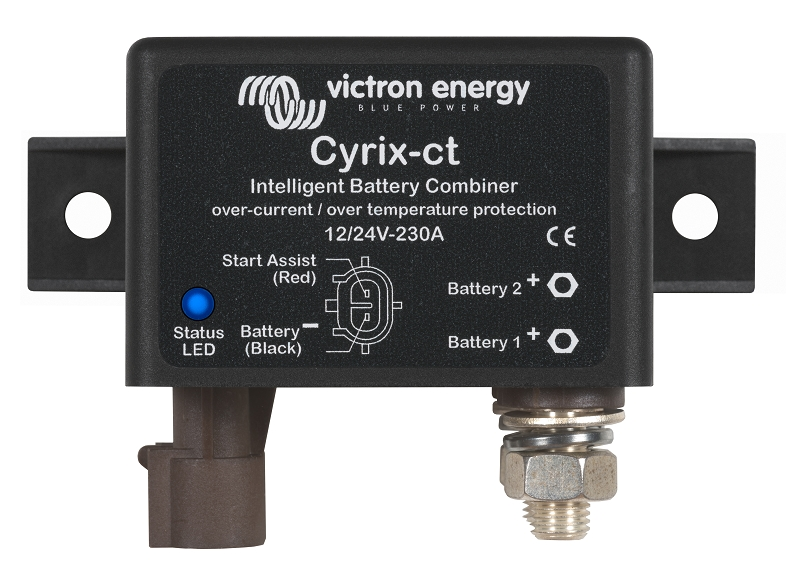 This Intelligent Battery Combiner from Victron Energy works with 12 or 24 Volts and can handle a load of up to 120 Amps, it has over-current and over-temperature correction built in (the CT in the title refers to Controlled Temperature ) There is an available terminal to fit a manual override combine button to assist when starting is difficult. Victron’s BatteryProtect automatically disconnect loads to prevent battery damage or deep-discharge. When exploring in your RV or Campervan you might like to enjoy some of the luxuries of modern life, even though you’re out in the woods. To do this you will need a supply of AC power. Inverter chargers are used to charge batteries when external power is available and are used to provide AC power from batteries when external AC power is not available. They are typically used on RV's to provide AC power for domestic use, anything from running TV's and coffee makers to more heavy duty applications such as Refrigeration and Air Conditioning. Increasingly though they are being used in all kinds of "off-grid" applications including providing AC power from solar, or providing backup power for emergency equipment in areas where grid power is intermittent. Inverter chargers connect to a heavy duty battery bank. When AC power is available from a generator or a shore power hookup they act as high power battery chargers. When in invert mode they produce domestic electrical power which in the US is 120 Volts AC. The inverter charger shown in the Dodge Van is the Victron Energy Multi-Plus. This one is a 24 volt DC unit and produces 120 Volts 60 Hz pure sine wave AC power. The rated AC capacity is 3000 Watts continuous and the DC charging capacity is 120 Amps. If you are going for Solar Panels you will need a solar charge controller to regulate the voltage and current from the Panels. Victron MPPT controllers have smart remote monitoring features plus 5yr limited warranty. These charge controllers are programmed to charge battery voltages from 12 VDC to 48 VDC. The Victron SmartSolar controllers support a wide variety of system designs, battery chemistry, and integrate seamlessly. 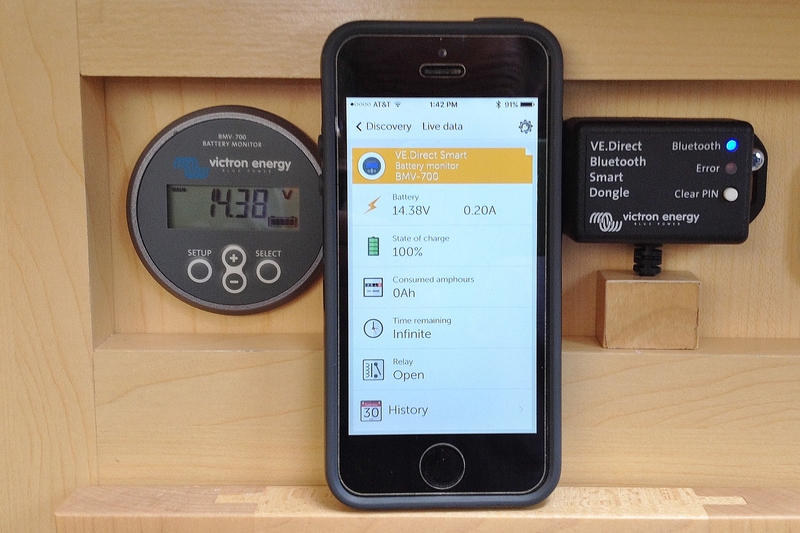 With built-in Bluetooth and the VictronConnect app, you can view and set battery voltage, solar history, load output, and battery charge. 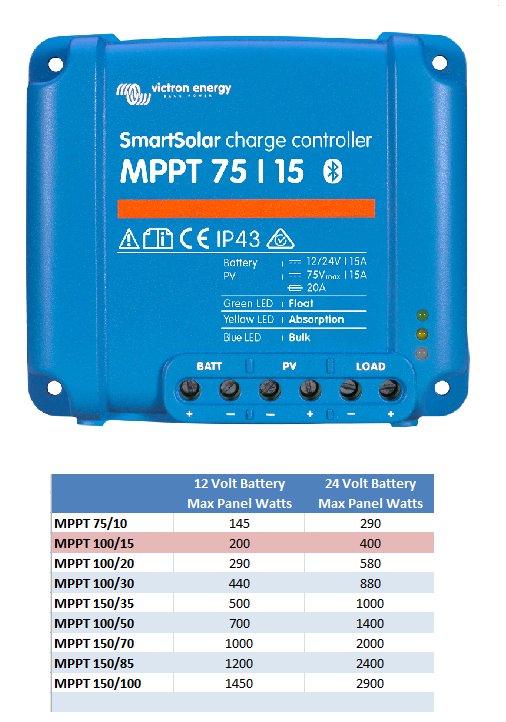 Victron Solar Controllers use Maximum Power Point Tracking (MPPT) which is a technique used to get the maximum possible power from a solar panel, more expensive than other solar controllers but 30% more efficient. In case of a clouded sky, when light intensity is changing, an ultra-fast MPPT controller will increase energy by up to 30% compared to PWM charge controllers and by up to 10% compared to slower MPPT controllers. 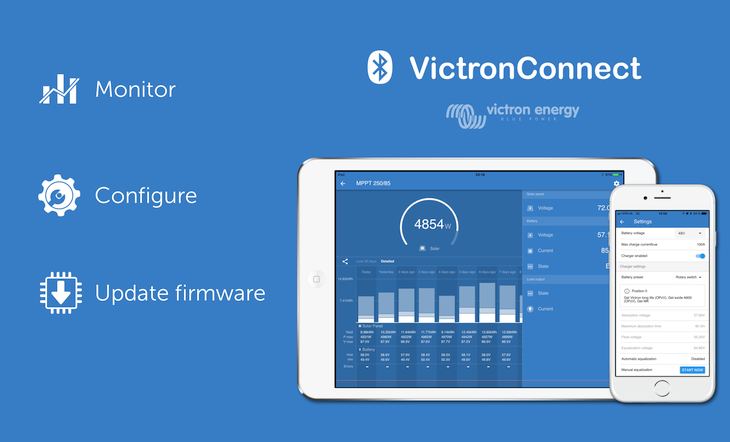 The smart MPPT controllers can be monitored via smartphone with the VictronConnect app. The image above shows the BlueSolar charge controller which needs the Bluetooth dongle to achieve the same function. One of the most common questions about the MPPT controllers is what size MPPT do I need. As mentioned before our role in RV and Camper Van conversion is to supply equipment and tech support to both Industry and recreational Van enthusiasts. The tech support we offer is to make sure people understand what the equipment does and how it needs to be installed and setup and that it is the right equipment for them. You can also see many blog posts/ technical articles here on the various equipment being used. When you have your system installed and finished, it’s a good idea to test the functions before you go off to the woods. Here is a link to testing your Lithium Ion battery system. Here you can discover the latest products as well as systems schematic from simple to complex installations.